Lend your letters and documents an official touch with our medieval wax seals. 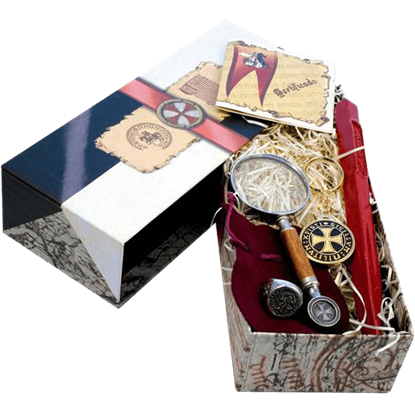 Here you will find our wax seals, wax sealing stamps, wax seal sticks, and wax sealing kits to help you get started stamping wax with the seals of history. 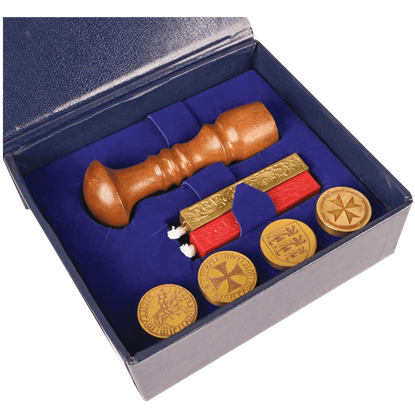 We carry Templar and Crusader wax seals that make fine collectibles and add a sense of history to whatever papers you choose to stamp them with. 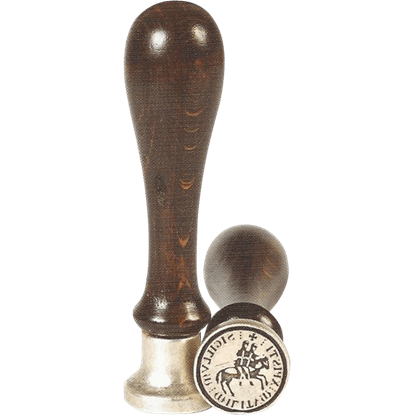 Many of our wax sealing stamps come with their own stick of wax, and our wax seal sticks are great replacements for when that wax runs out. Bring the legendary seals of the Middle Ages and Renaissance into the modern day when you reenact the time-honored tradition of wax sealing your letters and notes. A powerful order of religious warriors during the Middle Ages, The Knights Templar were as wealthy as they were skilled in combat. 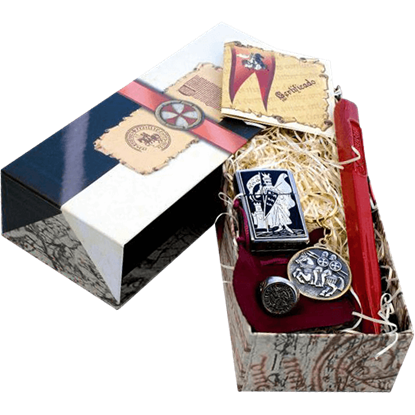 You can keep their memory alive by sealing your letters with the Knights Templar Wax Sealing Stamp. Known for their secretive and ritualistic ways, the Freemasons are a brotherhood who specialize in symbolism. 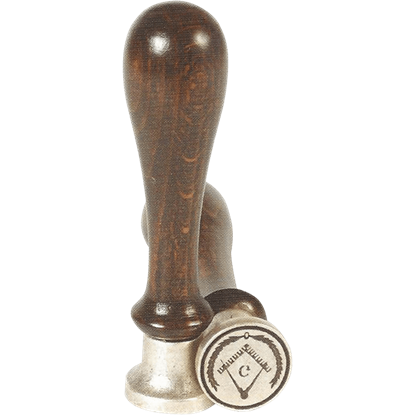 The Masonic Wax Sealing Stamp displays their most prominent symbol - a square and compass with a large G at the center. Expertly made by Marto of Spain, this first series, the Royal Seals of the Crusades set, is based on ones used during the Third Crusade. Each of these round seals can be screwed into the wooden handle and be interchanged in seconds. A mysterious order of knights who played a significant role during the Crusades, the Knights Templar were famously wealthy and skilled combatants. 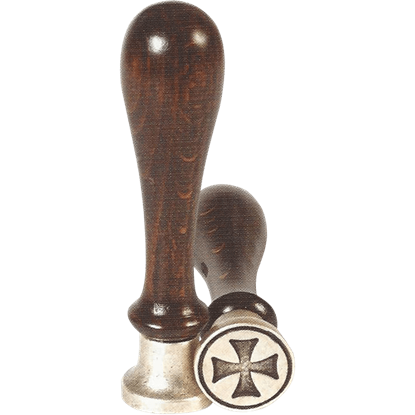 The Templar Cross Wax Sealing Stamp allows you to pay homage to this heroic brotherhood. Few knightly orders have gained the notoriety of the Knights Templar. Others claim to have descended from these warriors and more claim to be like them. 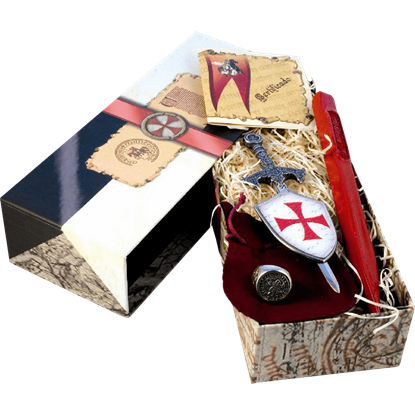 Celebrate this popular order by giving this wonderful Templar Knight Gift Set.